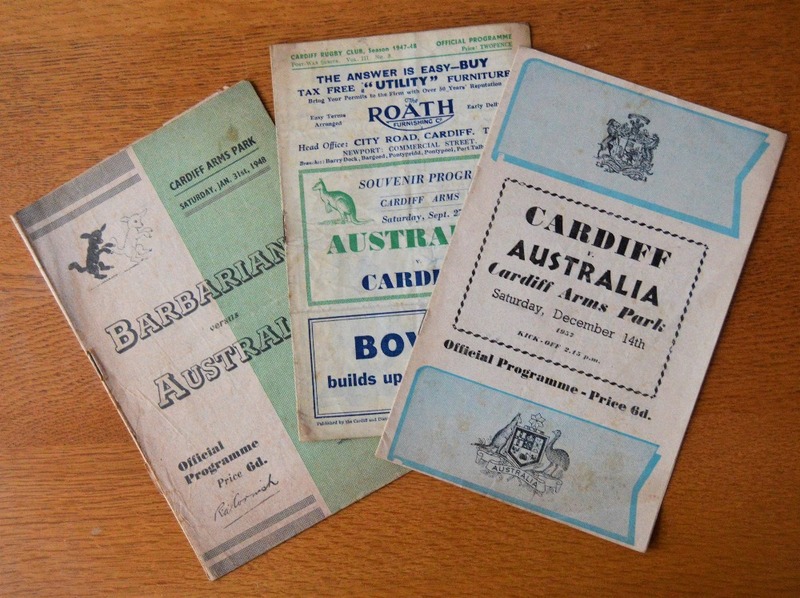 Australia in Cardiff Rugby Programmes: 3x issues incl the famous first Barbarians v tourists game, 1948, and from the Cardiff club clashes of 1947 & 1957. A little worn & browned, entire, interesting, F/G early programmes. (3).